A song about heroin addiction, it would become a staple of their live set, particularly after a remarkable extended performance at U2's charity performance for Live Aid. The vague lyrics of Bad have meant that interpretations of the song's meaning can be open, but Bono frequently told the story behind the song in concert that it was about a friend who was given the drug as a birthday present. U2 also wrote Running to a Standstill about heroin addiction. Bad also featured on the U2 EP, Wide Awake in America . 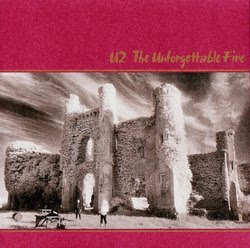 Check out more Unforgettable Fire Lyrics including "Promenade" and "4th of July"